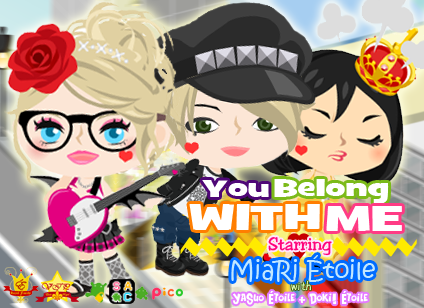 Thank you very much for supporting You Belong with Me for a year! We are so happy to see that this video became successful even though we just publish it after a quite long story. Supposedly, You Belong with Me is our first video, but then, Mai thought she lost the files so instead of re-making, we just made a new one which is the Just a Dream. After a quite long time, Mai found the files and so she re-make the video and we shoot some of the other parts that we were lacking, edit and publish just not to waste our hardship when we were shooting the video. And I'm glad to see that lots of people like it where I first appear with my brother YaSuo and our former Champion, Doki!. Thank you very much!